Croque Monsieur is a famous grilled ham and cheese sandwich in France. 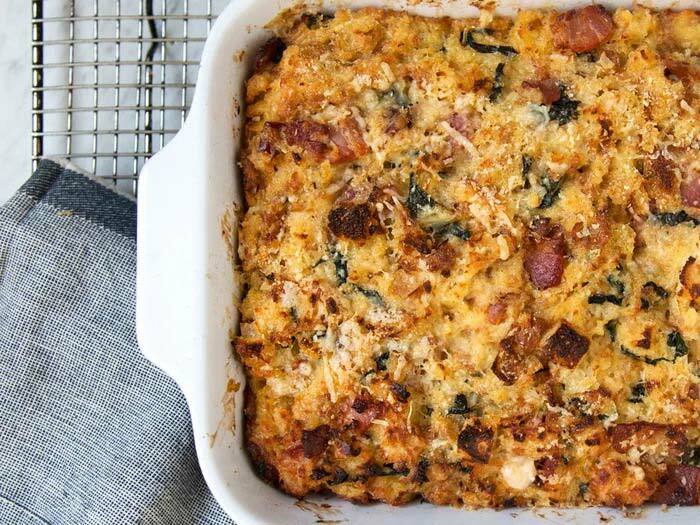 This is a popular casserole style bread pudding. This bread pudding has all the right flavors for an ideal breakfast buffet or brunch. It is a nice flavorful plate of cheesy goodness.